Margaret Vance (nee Cruickshank), 94, of Elyria, passed away peacefully on Sunday May 27, 2018 at her residence. She was born September 8, 1923 in Rio de Janeiro, Brasil. Mrs. Vance had resided in Elyria for the past 20 years and formerly resided in North Ridgeville. She was a homemaker. Mrs. Vance attended First Congregational United Church of Christ in North Ridgeville and was formerly an active member of Bay Presbyterian Church in Bay Village where she was a Sunday school teacher. She was a gourmet cook and loved to cook for her family. She also enjoyed playing bridge, sewing, needle point and working jig-saw and word-search puzzles. 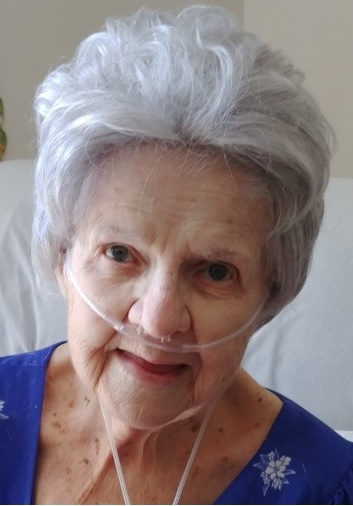 Mrs. Vance is survived by; her daughter, Peggy Poe (David) of North Ridgeville; three grandchildren, Gwendolyn Bito (Jeffrey) of Lakewood and Jason and Leah Gagliardo, both of Cleveland; and she has a great-grandchild on the way. She was preceded in death by; her husband, Gordon R. Vance in 1971; her son, John G. Vance in 1981; her parents, John G. and Murial J. (nee Rogers) Cruickshank; two sisters; and one brother. The family will receive friends on Saturday June 16, 2018 from 1:30pm until the time of a memorial service at 2:30pm at the Liston Funeral Home, 36403 Center Ridge Rd., (at Stoney Ridge Rd. ), North Ridgeville. Rev. Robin Imbrigiotta will officiate the memorial service. In lieu of flowers, the family suggests that memorial contributions be made to either St. Jude’s Children’s Research Hospital or to Doctors Without Borders.